This set is a reissue of Airfix set 01748 in a Heller box. 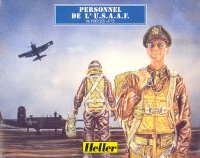 See the review of Airfix U.S.A.F. Personnel for details.